'Green Mountain, Blue Sea' is CFIF's socio-environmental project that involves planting seedlings to assist the natural regeneration process in the hopes of making a big difference with one small step. According to marineconservation.org, the ocean is the largest ecosystem on Earth. It generates half of the oxygen we breathe. It only makes sense that we take care of our waters. Planting mangroves is one of the best way to improve its health. 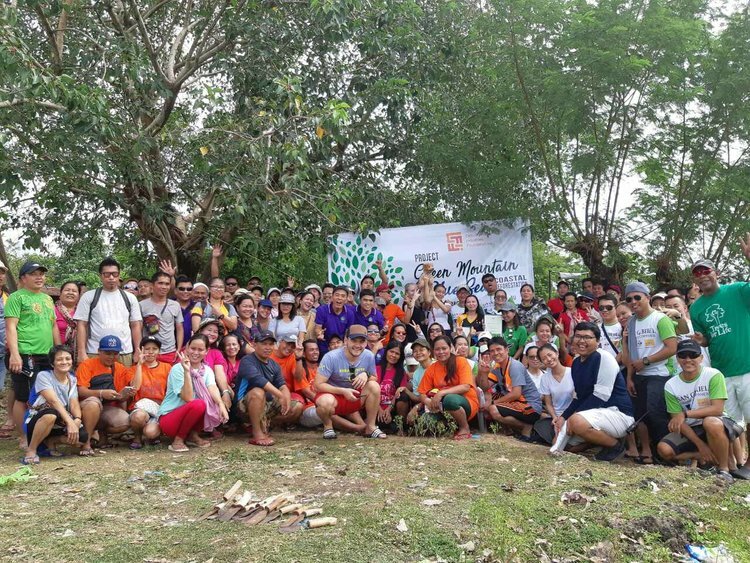 Fifteen member companies participated to plant 3,400 mangrove seedlings last April 6, 2018 at the Barangay Calero, Lilo-an. According to the participants, it was gratifying knowing they took part in taking an action towards helping the environment.